Grade 2+. Trombone book and commentary. The Hollywood Warmup is built upon the idea that a student will improve quicker and in multifaceted ways when they are making music in their fundamental routine. This text “covers the essential elements of wind playing – tone, articulation, flexibility, range, and technique” in nine exercises that take twenty minutes to play. 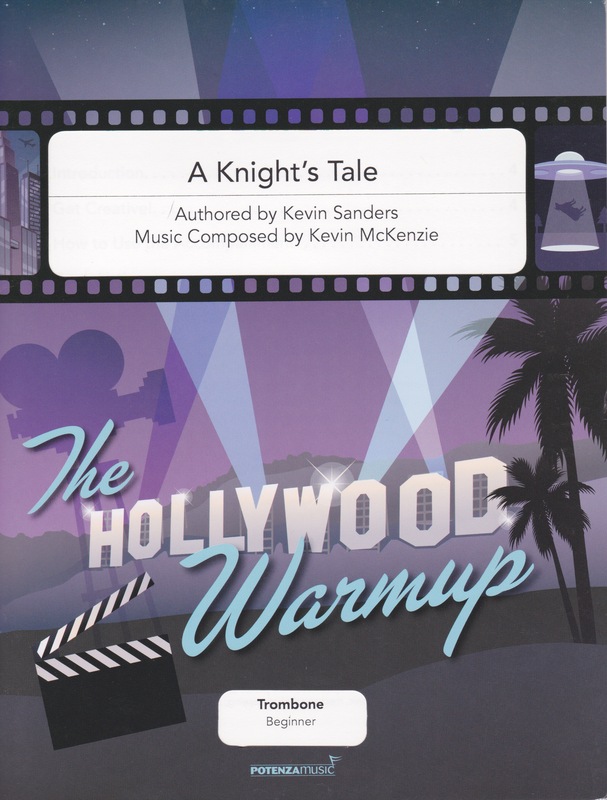 “Playing along with The Hollywood Warmup’s exciting soundtrack is what separates this book from all the others.” Each exercise comes with a play along track offered at three different tempi that provide midi accompaniment in a specific style. The accompaniment is scored to sound like an exciting movie soundtrack; there is a lot of rhythmic activity and melodic interest, while still providing other voices playing in unison or octaves with the trombonist. The play along tracks are available for download at www.hollywoodwarmup.com. The student can also subscribe to the Hollywood Warmup Playlist on YouTube. While this review addresses the trombone book, it is important to note that this series has books available for every instrument in the band. In addition, the author includes expert commentary from professionals for each instrument. Henry Henniger has provides the commentary for this book, and his suggestions are excellent. They are direct, clear, and appropriate for the beginning player. This is an excellent warm up text. It reinforces numerous good habits that are essential to the young musician: playing in time, playing as part of a larger unit, creating musical direction during the warm up, playing out with a great tone, matching style, breathing well, and challenging yourself to improve at all times. I highly recommend this text to any beginning or intermediate student and to teachers of this ability level.